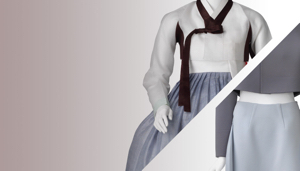 Discover the past, present and future of Korea in this first U.S. exhibition to consider Korean fashion as an expression of social and cultural values. Couture Korea showcases historical Korean fashion and its modern reinterpretations at a moment when young Seoul-based designers are making the leap to the global stage and international haute couture is finding inspiration in Korean art and culture. Following the tour, you are invited to join the group for coffee/lunch at the museum cafe. Coffee and lunch will begin at approximately 11:30am. Afterwards, you may re-visit the exhibits on your own.